We moved from our original location in Rodley to central Bradford and we are now in specially designed workshops in Dudley Hill. 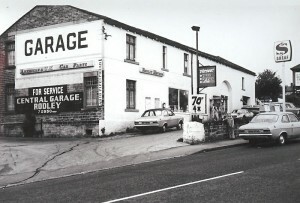 After years working in North America as a trained electrical engineer servicing diesel electrical sets, Eric Dawson came back to his native Yorkshire and bought a small garage business in Rodley, between Leeds and Bradford. With his North American background it was natural to take an interest in American Automotive Products. “I thought there was a gap in the market.” he remarked later. That must have been one of the all-time great understatements if the motor trade! 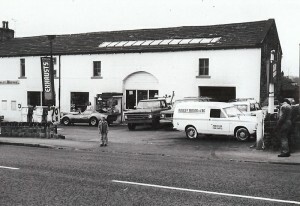 40 years on, Rodley Motors is still the Dawson family business. From Rodley we moved to occupy a 75,000 sq ft mill on East Parade, Little Germany, Bradford. Here we grew the business developing our skills and specialising in American parts. After 20 years of successful trading we move to our current location at Dudley Hill. This new single storey site has allowed us to re-expand the garage servicing side of the business that had once proved so successful. Over the past few years we have built and fully equipped purpose built garage unit. We still have much of our stock in the warehouse behind to garage.